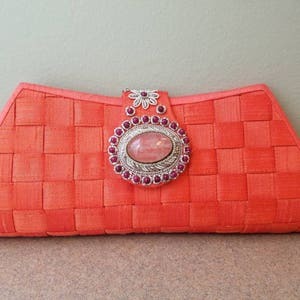 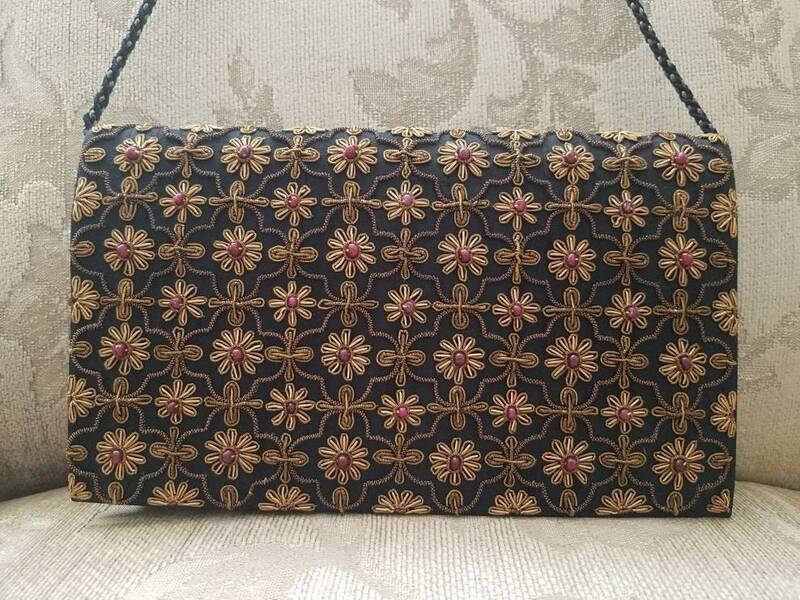 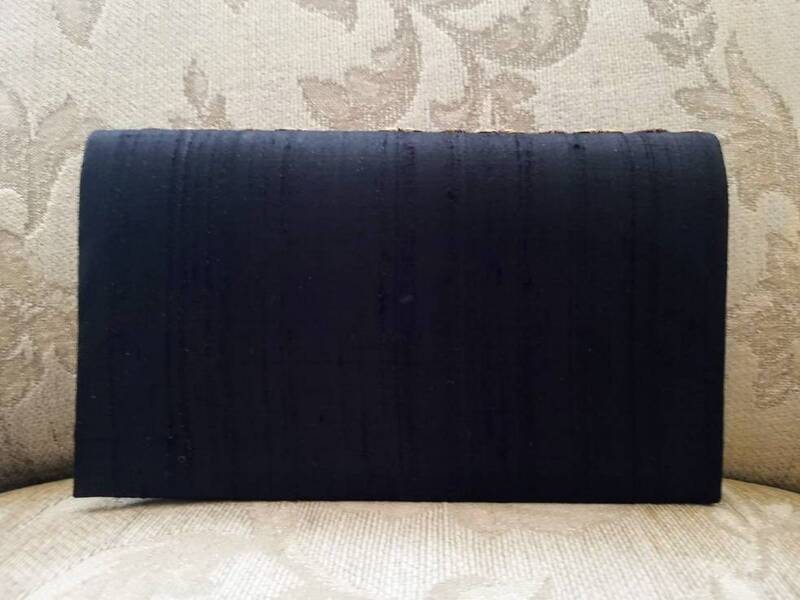 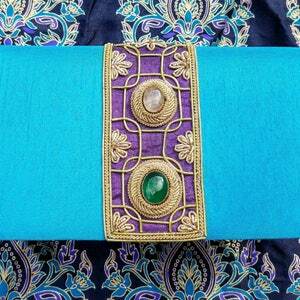 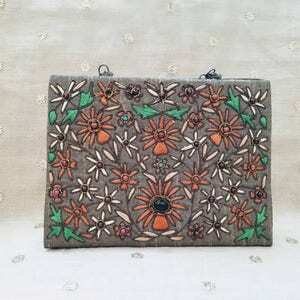 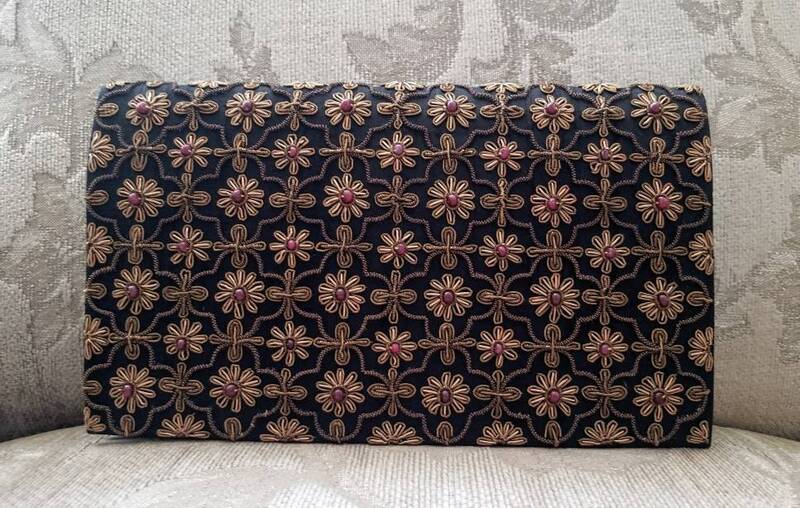 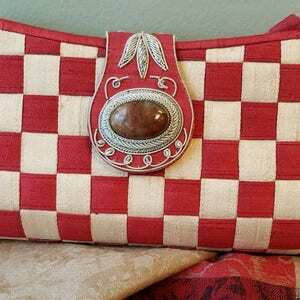 STUNNING hand embroidered black silk clutch, using copper colored metallic threads, in the zardozi tradition. 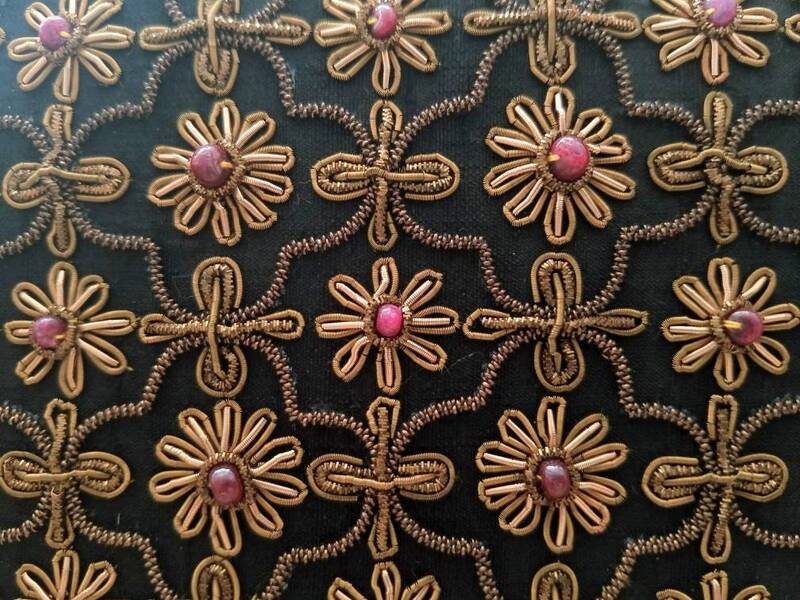 Genuine garnet stone beads sewn into the center of each flower, giving a 3D effect. 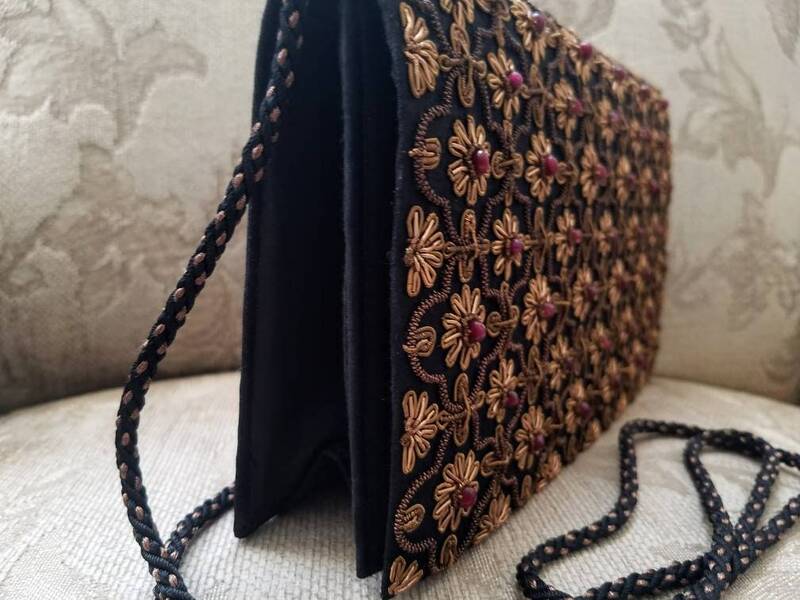 - braided black and copper colored corded shoulder strap with 27 in drop, which can be tucked inside.